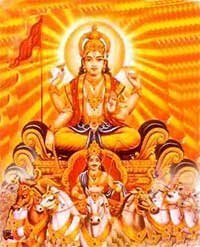 Ravivar, or Sunday, is dedicated to Lord Surya or Suryanarayana. Upvaas or fasting on the day is dedicated to the Sun God. Red is the color of the day. Those people who undertake fast on the day only eat food once that too before sunset. Salt, oil and fried food items are avoided. Red color flowers are offered while praying. Red color sandalwood paste is applied as tilak on forehead. Extra care is given on cleanliness of the body and surrounding. 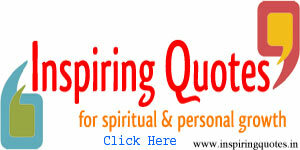 It is believed that Ravivar Vrat will help in fulfilling desires. People with skin diseases observe the Vrat to get relief.Many devotees also give alms on the day. Monday is dedicated to Lord Shiva. It is said that Lord Shiva is easily pleased. Therefore many people observe Upvaas on Monday. Those devotees observing fast only eat food once. 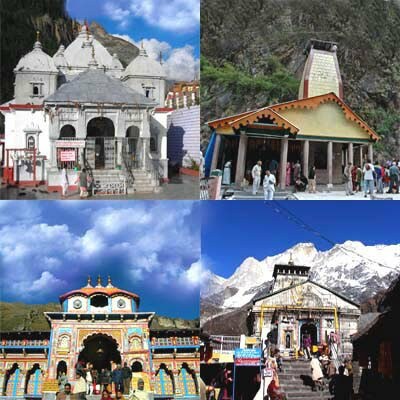 People visit Lord Shiva shrines and conduct pujas, especially, Ardhanarishwara puja. The mantra ‘Om Namah Shivaya’ is chanted continuously. Siva devotees also read Shiva Purana. Unmarried women observe the Vrat to get good husbands. Others observe it for a happy and prosperous family life. Tuesday or Mangalvar is dedicated to Lord Hanuman. 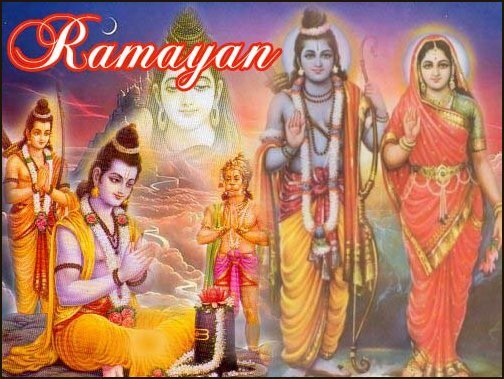 Upvaas (fasting) on the day is dedicated to Hanuman and Mangal or Mars. 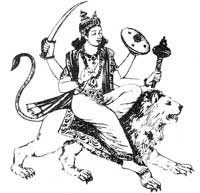 Mangalwar, Tuesday, takes its name from the god Mangal or Mars who rules the day and is considered to be a trouble maker, and the fast is to ward off the harmful effects. Red is the preferred color on the day. It must be noted here that the Hanuman might not be worshipped on Tuesday in all regions. Some communities might be worshipping some other deity. For example, in South India the day is dedicated to Skanda or Muruga or Kartikeya (Kartik). 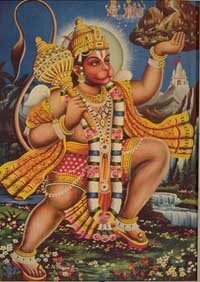 But generally Tuesday is dedicated to Hanuman. Mangalvar Vrat is observed by those couples who wish to have a son. Other benefits include happiness in the family. People who believe in astrology observe fast to alleviate the harmful effects associated with the planet mangal or mars. Those who undertake the fast on Tuesdays only take a single meal. It is a whole day fast. The single meal on the day is usually any food made of wheat and jaggery. Most people observe the fast for 21 Tuesdays without a break. People wear red colored clothes on the day and offer red flowers to Lord Hanuman. It is believed that Lord Hanuman will help his devotees in overcoming difficulties in life especially those that arises from the activities of Mangal graha. Budhvar, Wednesday, is dedicated to Lord Krishna and the planet Budh or Mercury. The day is also associated with Lord Vithal, an incarnation ofKrishna. In some regions, Lord Vishnu is worshiped. Keeping a fast (Upvaas) on Budhvar is believed to help in leading a peaceful family life. Those devotees who undertake a fast on the day only take a single meal in the afternoon. The fasting is observed mainly by husband and wife together. Green color is considered highly auspicious on the day. In Astrology, mercury is considered to be compassionate and generous. Mercury is usually depicted riding a lion. 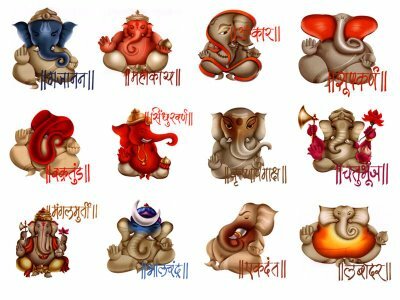 In some regions, people start new ventures on Wednesday as Mercury or Budh is considered to help new business ventures. Educational activities begin on Wednesday in some places. 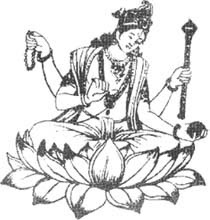 Thursday, which is Brihaspatiwar or Vrihaspativar, is dedicated to Vishnu and Brihaspati, the Guru of Devas. Thurdsay is also popularly known as Gurubar or Guruvar. Yellow is the color of the day. A fast is observed on the day and food is consumed only once. In some areas, people make it a point to visit Hanuman Temple on Thursdays.There are numerous stories associated with the reason for observing Upvaas, or fast, on Brihaspativar. Many of the stories are part of local folklore and stories vary from region to region. Almost all stories suggest that those who perform pujas and Vrats on Thursdays will be blessed with wealth and happy life. In some stories, Lord Vishnu appears in the guise of a Sadhu to test the devotees on Thursdays. In other stories, it is Brihaspati. First the person in the story denies alms and is lethargic but later realizes his/her mistake and observes Thursday Vrat and pleases the Gods. Those devotees fasting on the day wears yellow colored dress and offers yellow colored fruits and flowers to Vishnu and Brihaspati. Food is only consumed once and includes Chana Dal (Bengal Gram) and ghee. Basically, yellow colored food is eaten on the day. In some regions, banana or plantain is worshipped and watered. 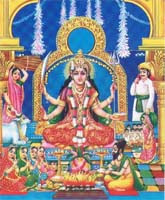 Friday or Shukrawar is dedicated to Shakti – the Mother Goddess in Hinduism – and Shukra or Venus. 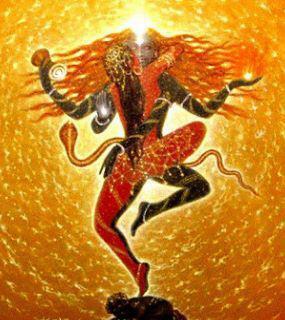 One of the most important Vrat or Upvaas (fast) on the day is dedicated to Santhoshi Matha (an incarnation of Shakti). The fasting is also known as ‘Solah Shukravar Vrats because a devotee fasts for 16 consecutive Fridays. White color is given importance on Friday. Another deity that is propitiated on the day is Shukra, who is known to provide joy and material wealth. The period of Shukra in one’s astrological chart is considered to be most productive and luckily period. Worship of Shakti – Durga, Kali and other forms – on Friday is considered highly auspicious. Shakti temples in India attract large number of devotees on this day. Devotees wear white colored dress on this day. The fasting on Shukravar begins at sunrise and ends with sunset. The person fasting only partakes in the evening meal. White colored food like kheer or milk is the most preferred. Fast is kept for various reasons which include removal of obstacles, for a child, happy family life etc. There are numerous stories associated with Shukravar. In almost all the stories, Lord Shukra or Venus is dishonored in the beginning and the devotee later realizes his/her folly through numerous untoward incidents. 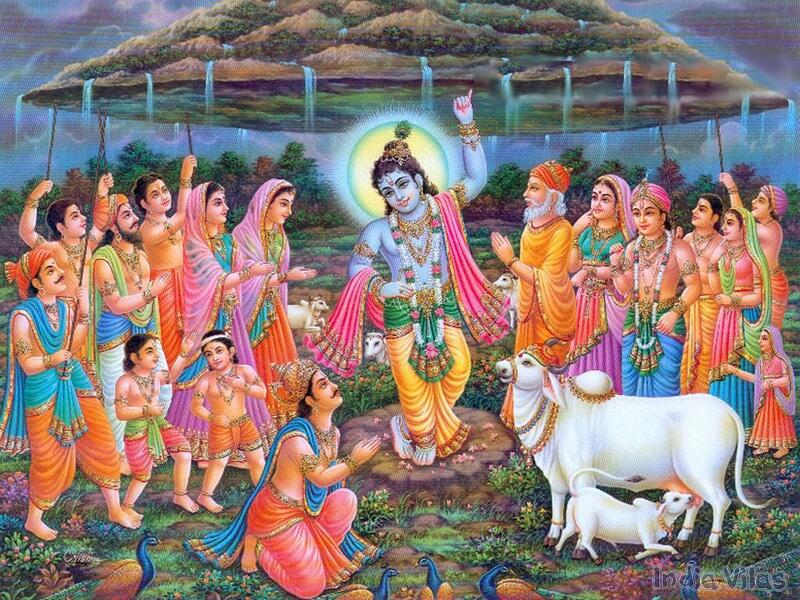 Then the devotee realizes the mistake and propitiates Shukra and is finally rewarded. Talk about Shani or Sani to a Hindu and the first reaction will be fear and then the mentioning of ill effects and troubles. Shani is dreaded by Hindus, especially by those who believe in astrology. 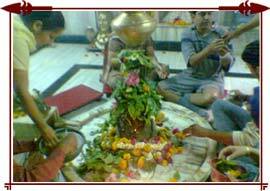 Many people observe an Upvaas or fast to avoid the adversities and misfortunes on Shanivar or Saturday. It is believed that those who have the blessing of Lord Hanuman are protected from the wrath of Shani. Therefore many people make it a point to worship Hanuman at home or in temples. Black is the preferred color on Saturday. Shani, one of the Navagrahas, is worshipped in numerous temples and there are also temples exclusively dedicated to Sani. Devotees who are observing Shanivar Vrat usually visit Shani shrines. Black colored items like sesame til, sesame oil, black clothes, and black gram whole are offered to Shani. It must be noted here that the color of the idol of Shani is always black in color. Those devotees who fast on Saturday only take a single meal that too in the evening after prayers. Food prepared usually consists of sesame til or black gram or any other black colored food item. Salt is avoided by many on the day. Shani is represented as a deity carrying bow and arrows and riding a vulture. Some devotees worship a black iron idol of Sani. Some worship the Peepal Tree and tie thread around its bark. Black colored items like sesame oil and black clothes are also donated on the day. Shani is so dreaded that many Hindus avoid journeys on Saturday. There are also numerous tales regarding the evil effects of Shani. 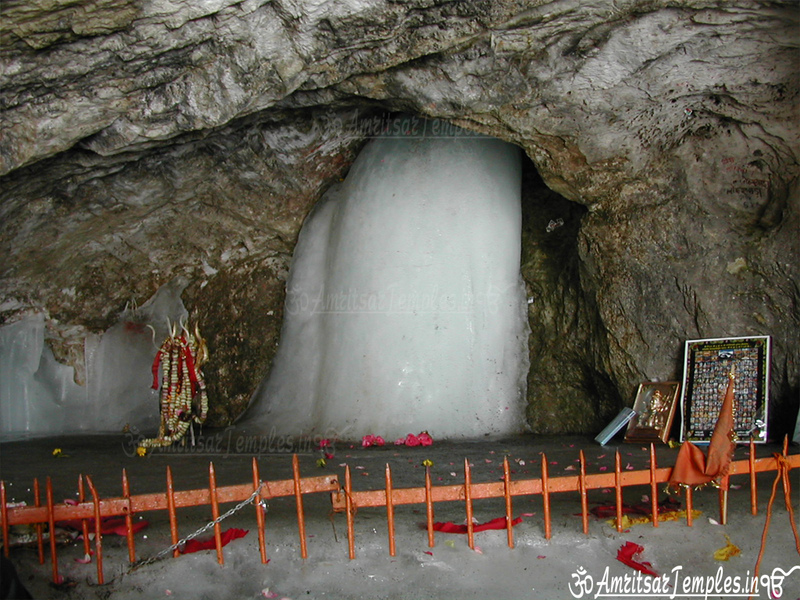 But generally it is believed that Lord Hanuman devotees are unharmed by Sani. Legend has it that Lord Hanuman had rescued Shani from Ravana. This happened during the burning of the Lanka episode in the epic Ramayana. Lord Shani had then promised that he would not trouble Lord Hanuman devotees.